"Because we are Irish Catholics they turn a blind eye." Republic of Ireland and Stoke winger James McClean has responded strongly to the news that the FA will investigate him for his post-match comments after a 0-0 draw with Middlesbrough on Saturday. Due to his decision to not wear a Remembrance Day poppy, the Stoke City winger was booed by a minority of the team's supporters at the bet365 Stadium during the goalless draw with Middlesbrough. 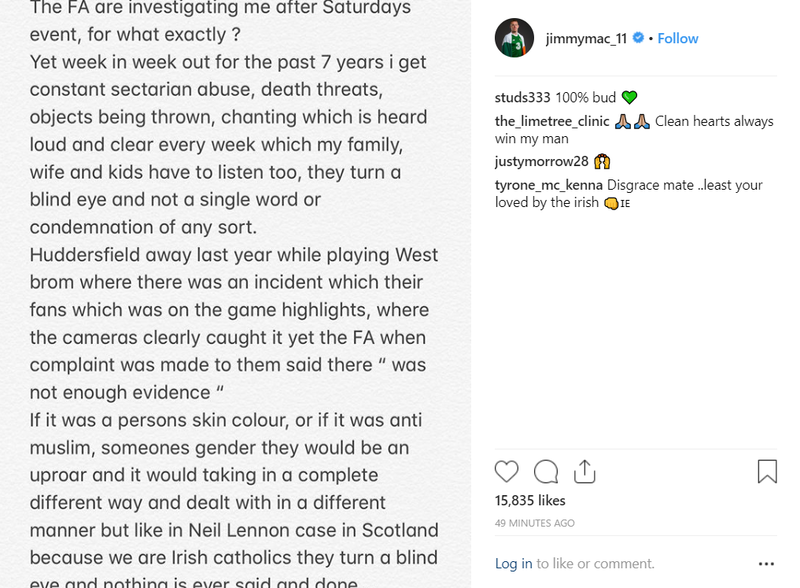 In a post on social media following the game, McClean hit out at the "uneducated cavemen" who heckled him and thanked those who respected his decision. The FA and Stoke responded by claiming that they are investigating his social media post. 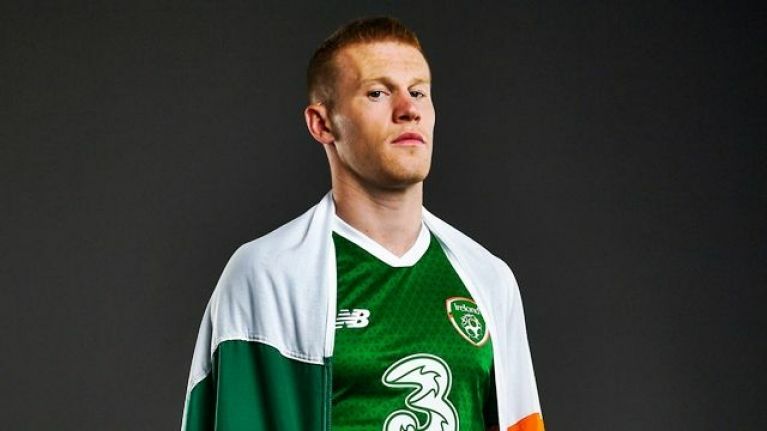 McClean has since responded by claiming that he is being persecuted because he is a Catholic and that the FA would take his cause more seriously if it concerned race or Islamophobia. "The FA are investigating me after Saturday's game, for what exactly? "Yet week in week out for the past seven years I get constant sectarian abuse, death threats, objects being thrown, chanting which is heard loud and clear every week which my family, wife and kids have to listen to. "They turn a blind eye and not a single word or condemnation of any sort. "Huddersfield away last year while playing for West Brom where there was an incident with their fans which was on the game highlights, where the cameras clearly caught it, yet the FA when [a] complaint was made to them said there 'was not enough evidence'.